Could Bill Shorten‘s ‘Hewson moment’ be a similar turning point in the Coalition’s election campaign? Such a moment recalls John Hewson’s inability in the 1993 election to explain how his meticulously-planned GST would apply to a birthday cake. He was to lose that ‘unlosable’ election to Paul Keating. In the current election, polling and betting have long favoured Labor. Fearing an adverse impact on inner-city electorates, Scott Morrison apparently decided that making Trumpist changes to his agenda was not the answer. But nor were his attempts to walk on both sides of the street. Then in response to Al Jazeera/ABC allegations, he made a rash captain’s call to preference Labor before One Nation which, if it pleases the elites, endangers marginal seats, especially in Queensland. The last hope has been that the budget would be the elusive silver bullet which would turn everything around. But this ignores the lessons of 2007. Whatever financial inducements the Howard government offered, Rudd equalled. Predictably, Shorten has just done the same. In addition, the complexities and virtues of a sound budget will usually escape the average voter, dependent as he or she is on TV news commentaries which usually come from the Left. But there are differences between 2007 and today. While Rudd had the mainstream media on side, this time News and Sky are not in Shorten’s camp. Shorten is seen as a backstabber heading a government which will, on its own admission, expropriate vast sums of their money from self-funded retirees, endanger housing values and raise taxes by $200 billion. It will further the agenda of the most thuggish unions, is quite prepared to vandalise the constitution and will exchange preferences with those cultural marxist neo-coms, the Greens, who will demand some realisation of their agenda. This includes 100 per cent renewable energy, an end to coal exports and the re-introduction of those rightly hated death duties. If the Coalition gains no traction from the Budget, their best chance now could come from Shorten’s Hewson moment when he demonstrated that he had done as much preparation as the Rudd government did for the NBN. Asked how long it would take to charge one of the expensive electric cars an unwilling population will be forced to buy, Shorten said ‘8 to 10 minutes’. With a super charger installed for around $3,000, recharging can still take between 8 and 10 hours. 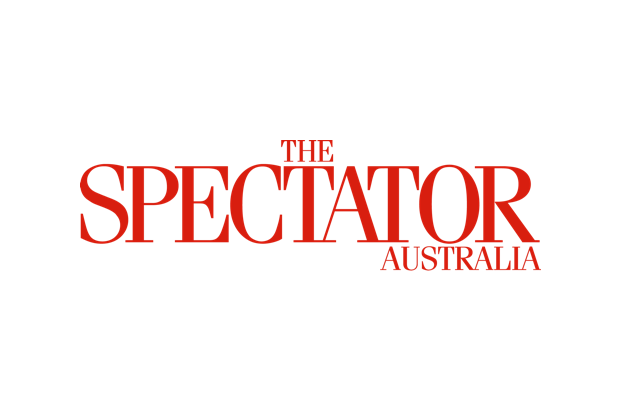 The government left it to conservative commentators to lash Shorten, preferring to try to win the battle over the Budget before a disinterested audience. The important point is that forcing electric vehicles onto a reluctant population, who are more than aware of the disadvantages, may well be what rallies tradesmen, those who use their cars either for work or to get to work and especially those who know what it is to drive in the country or the outer suburbs. It became obvious that Shorten is completely out of touch with ordinary voters. Even on the much-used highway between Sydney and the Southern Highlands, there is only one petrol station. Imagine queuing there to plug in to an electricity outlet for several hours. Shorten was so shaken by being exposed as ignorant and unprepared, he sent his deputy Tanya Plibersek to appear on the Alan Jones program. He has seen what happened to NSW opposition leader Michael Daley when he had appeared. Ms Plibersek, who seemed to treat it all as a big joke, admitted to driving a gas guzzler and worse, having no idea at all how much CO2 there is in the atmosphere. Yet this is the very basis for violently manipulating the energy market to make our electricity, already among the world’s dearest, even more expensive. No doubt one reason why the government did not take advantage over this Hewson moment is that they too worship, admittedly less fervently, at the global warming altar. Let us hope that, for fear of having something far worse, the Coalition is returned. Perhaps they will then realise that they must follow Trump, China and India and incidentally, also accept the advice of the head of the CSIRO. This is that even if we closed down every factory and farm and stopped all CO2 emissions, it would make not one iota of difference to the world’s and Australia’s climate. The consequences of the present policy are now beginning to reach the evening TV news, and may permeate through the massive amount of global warming propaganda that is churned out by the the mainstream media. The closure of the Huggies nappy factory in south-west Sydney with the loss of 220 jobs is indicative of what is happening and what will become a tsunami under Labor. The American owners, Kimberly-Clark, are moving to China and Korea not only because wages there are about a sixth of Australia’s but, probably more importantly, also because electricity prices are a quarter. This will fall to at least one eighth under Labor. What business will be able to stay here? This demonstrates the appalling fact that the politicians in Korea and even communist China are more concerned about keeping their countries going than most Australian politicians, and especially, Labor and the Greens. And not only will electricity be unaffordable. It will be neither available nor reliable. The continuing deterioration of the strength of the electricity network, which started in South Australia under Labor, is now moving into south western New South Wales, north western Victoria and North Queensland. The system is holding up only because the operator is intervening, on a daily basis, to keep the lights on. Bad as this is, it will only be worse, indeed significantly worse, under a Labor-Greens government. That’s the bottom line of voting for Shorten and Bowen.